After seeing this on A Cup of Jo, and reading some of the comments, I remembered my love of the Sleepless in Seattle houseboat. I wonder who owns it. Apparently it was for sale last year for $2.5 million. 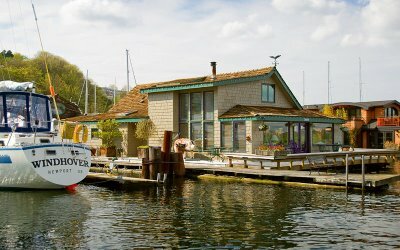 I was so fascinated by a house on water when I first saw this movie as a child. I would love to own this house now.